Emmeline Illustration: Christmas is (nearly) here! Big announcement! 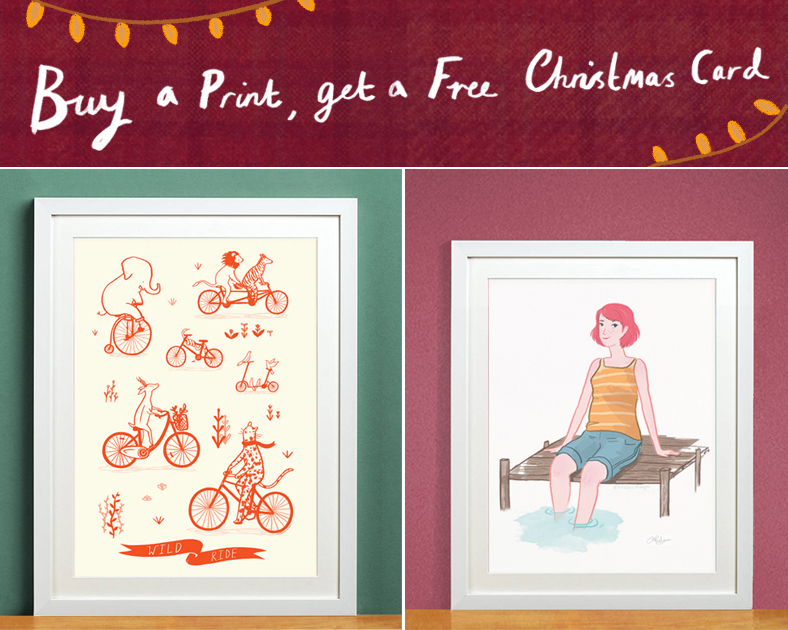 I've just stocked my first ever batch of Christmas cards! I intend to design Christmas cards almost every Autumn, but until this year I've always ended up missing the timing. It is a struggle to get in the festive mood months before Christmas, and for some reason these months are always busy for me with commissions. But this year I was determined and whole-heartedly embraced that chilly, crispy weather and those snuggly family get-togethers. 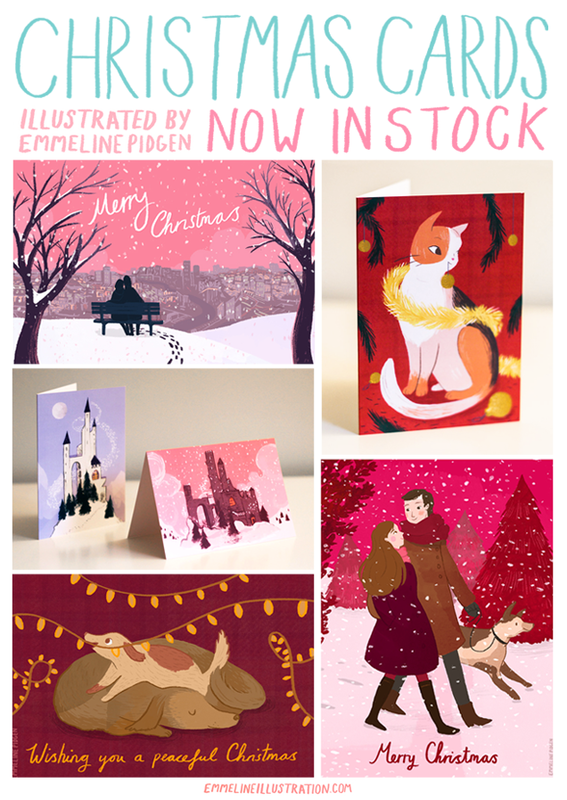 I've illustrated six different scenes, all inspired by those funny, lovely and magical Christmas moments (I especially loved researching Bavarian fairytale castles!). The quiet Winter walks through the City, to the raucous excitement of young'uns and their please-let-it-be-a-relaxing-Christmas parents.